An inquisitor sets out on a journey to find a monster. An inventor creates a time machine and is horrified to discover it works all too well. A living ship comes to give birth at edges of space. Wizards do battle for eternal supremacy. Sleeper agents under deep cover are activated and must leave everything behind. Love affairs blossom and fade in springtime. Hunters become the hunted and dwellings turn upon their inhabitants. 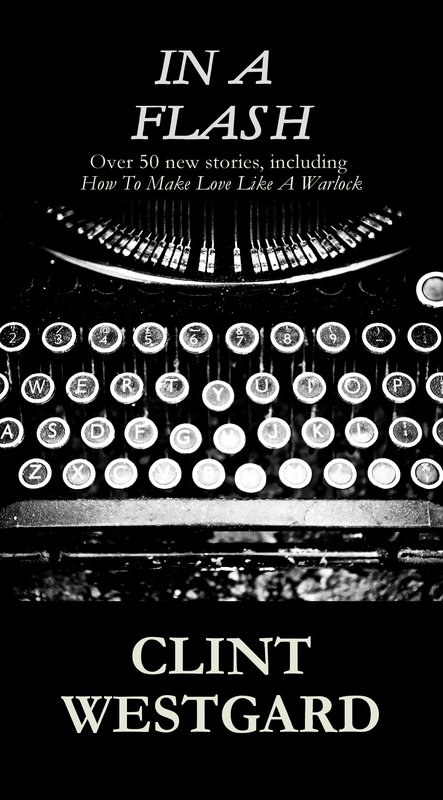 And a warlock provides unique and particular advice on romance. These and many other stories make up In A Flash, a collection of very short fiction that explores the vagaries of time and space, journeys to exotic realms, and the curious ways of the heart. From horror to westerns to romance to far-flung space opera and all points in between, In A Flash collects more than fifty stories.